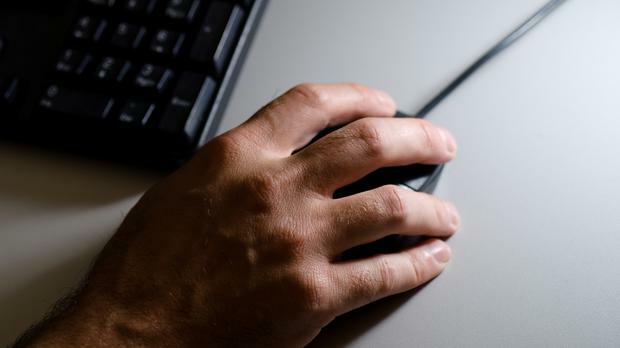 Steve Dempsey: Can the humble click make news websites tick? Clicks are the building blocks of the digital economy. For news organisations, generating clicks - and in some instances clickbait - is the path to success. But what's the psychology behind a click? Why do people click on news articles? And are clicks actually aligned with readers' interests? Two Dutch researchers, Tim Groot Kormelink and Irene Costera Meijer of Vrije Universiteit Amsterdam, decided to find out. And they took an interesting approach. They asked 56 different news users to talk about the choices they were making as they browsed the web for up to 40 minutes. The result is a study called 'What clicks actually mean: Exploring digital news user practices'. "Our participants valued news content for different reasons," says Groot Kormelink. "Some were news junkies who enjoyed staying on top of the latest developments, others devoured long reads. Some read news to be able to join in conversation with people at work, others just to pass the time. One interesting user pattern we saw is what we have previously called a "checking cycle": a quick round through your favourite apps or websites, often in the same order. This can include news but also Facebook, Instagram, email, dating sites, etc. The goal is to get a quick update of what's going on around you, whether it relates to your own life or the world at large." So what drove clicks? The report defines 30 considerations for clicking or not clicking on news stories. For example, news about nearby locations was appealing, as was personally relevant news. News about unexpected events also encouraged clicks, but so too was news that seemed familiar. Participants also clicked on news that 'gleefully annoyed' them. "It was certainly funny to see participants grumble about headlines and then actually click and read the news and get even more worked up," says Kormelink. "About politicians, for instance: 'Ugh, let's see what they did now'." And what about ads? Was banner blindness and MPU (a particular size of ad) amnesia rife? "Ads were not commented on much," says Kormelink, "except when they interrupted a smooth user experience, like a commercial playing before a video." Just because users don't click doesn't mean they're not interested in the news, says Kormelink. "One of the biggest eye-openers was what we called 'informational completeness', headlines that provide users with enough information so they don't have to click," he says. "These often concerned updates about ongoing conflicts. It is important to emphasise that just because participants did not click, does not mean that they did not want to see the headline - on the contrary." In fact one interesting finding was that some participants felt clicking or tapping was laborious. "On both laptop and smartphone, it seems they don't want to interrupt the flow of their scrolling or swiping session," he says. And this is one of the reasons why the report concludes that clicks aren't great at measuring readers' interest. Clickless monitoring, snacking and scanning of news is valuable to users, but not to publishers. Other reasons why clicks are sub-optimal include how the real world interferes with users' clicking behaviour, and how headlines can tell users interested in particular topics too little or to much to warrant a click. So if clicking is a flawed metric, is it the case that the impressions all these clicks deliver are similarly flawed basis for a commercial model? "By focusing solely on clicks, news organisations are blind to certain user practices," he says. "Our research suggests some users barely get past the homepage: just checking the headlines with perhaps a click here and there is enough for them. "And to be clear: they see not having to click as a service. Metrics that measure a fuller range of user practices seem more suitable for capturing users' engagement with news content." A focus on clicks can also lead to clickbait, or the proliferation of lowest common denominator stories, Kormelink warns. "Journalists shouldn't underestimate their audiences," he says. "Our research into news use here at the VU Amsterdam has indicated time and time again that people greatly appreciate learning something new or finally understanding a complex issue. Sure, often they just want to get the latest news or click on a funny headline, but sometimes nothing beats an 'aha' moment."